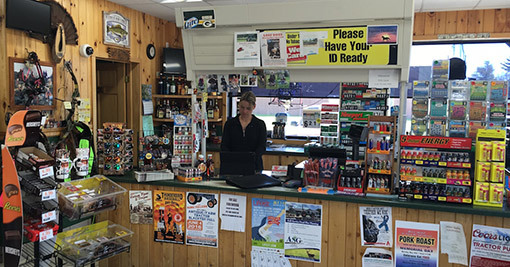 bait and tackle, walk in beer cooler, and much more located near Iola, WI. Sandbur Corners store is more than just a convenience store. We are located on WI-161 in Ogdensburg, Wisconsin, only minutes away from Waupaca, Iola, Manawa, and Marion. Sandbur Corners is locally and family-owned since 2003. 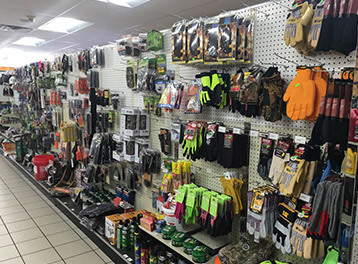 We carry your everyday convenience items; as well as sporting goods, guns and ammunition, fishing equipment and supplies, live bait and tackle, and so much more. If we don’t have what you want, we will try to get it in with competitive prices! 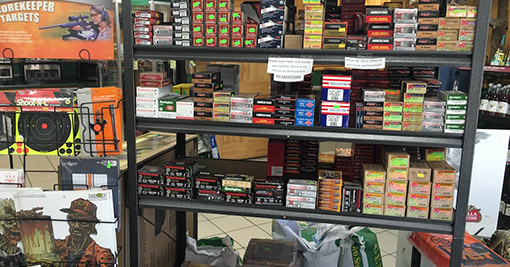 For gun owners, we clean, mount, and bore sight guns. For fishing enthusiasts, we carry a selection of poles, rods, and reels. 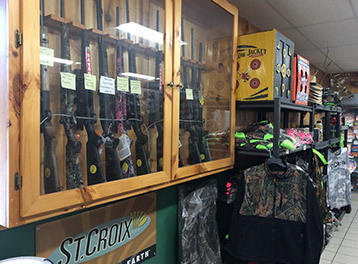 We are the areas St. Croix dealer. 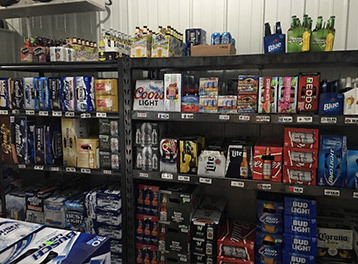 Sandbur Corners has a walk-in cooler and we carry a nice selection of liquor, wine and beer. On Thursdays we carry squeaky fresh DuPont Cheese curds. Lottery tickets are available and we have an ATM machine on site.